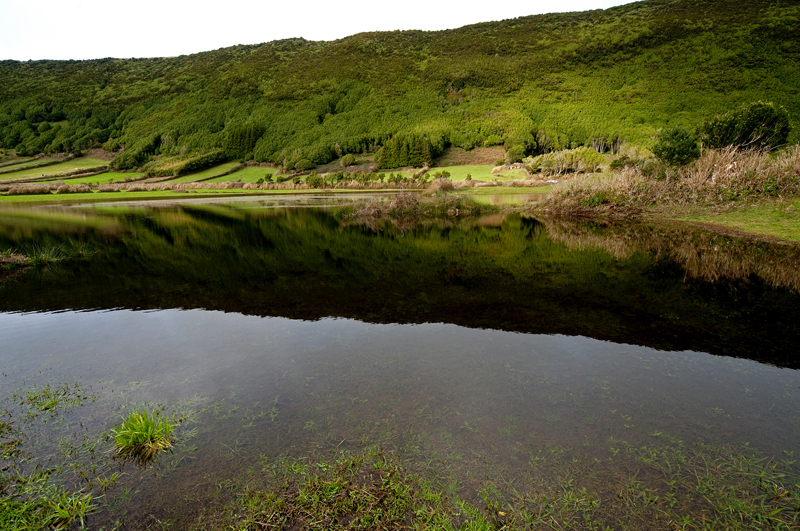 A scenic bay adorned by the city's white houses, mountains softly rippling up to the sky, a constantly green landscape only interrupted by large blue hydrangeas… These are just some of the charms of Faial, an Azores island where landscape seems to greet those who arrive, letting them to departure with inevitable nostalgia. 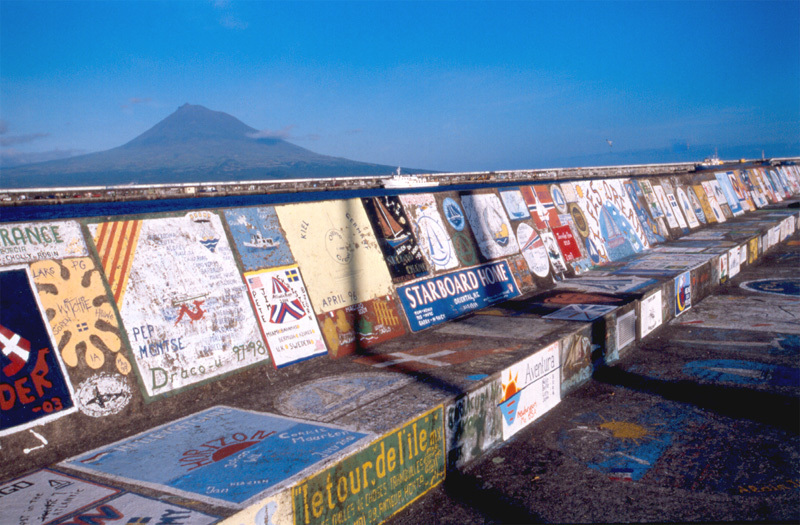 But Faial is also the colourful sight of the many yachts that make Horta their port of call when crossing the Atlantic Ocean, the naked landscape of the Capelinhos Volcano, the circle of a deep crater covered by endemic vegetation… And, above all, Faial is the best viewpoint to admire the neighbouring island of Pico and the majesty of its enormous volcanic cone born from the deep ocean. 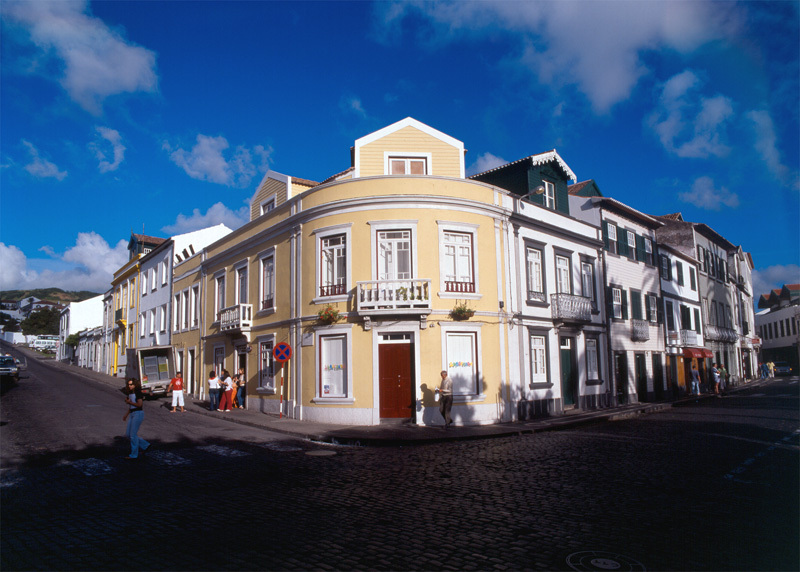 Faial Island is located at 38º 33” north latitude and 28º 38” west longitude. 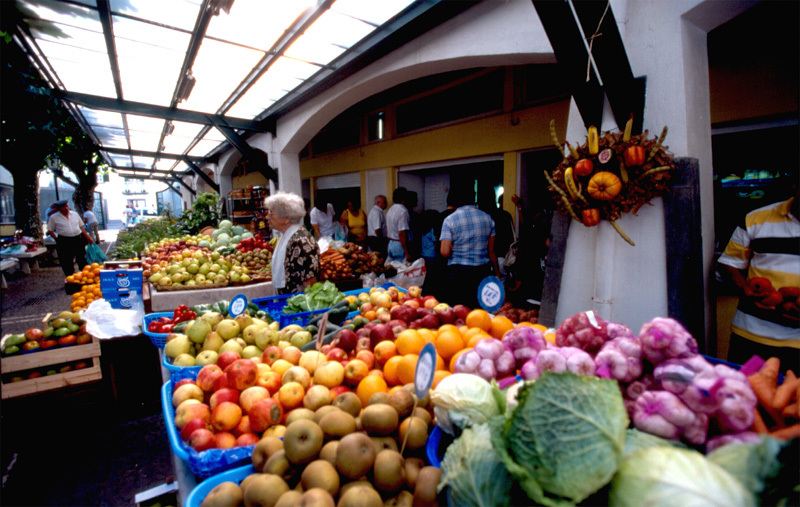 It has the shape of an irregular pentagon and its area covers 173.42km2: 21 km of length and 14 km at its maximum width. 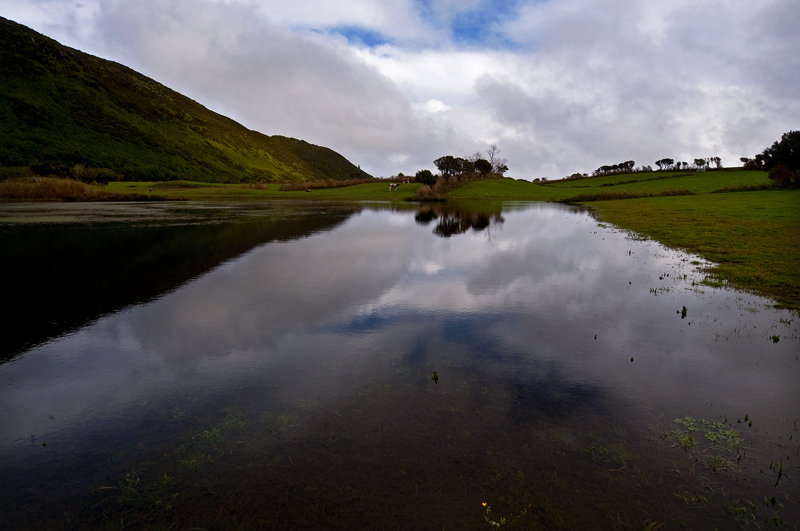 Dominated by the volcanic cone of the Caldeira, spread by gentle slopes interrupted by secondary volcanic formations, the island finds its highest point in Cabeço Gordo, which rises to 1.043 meters. 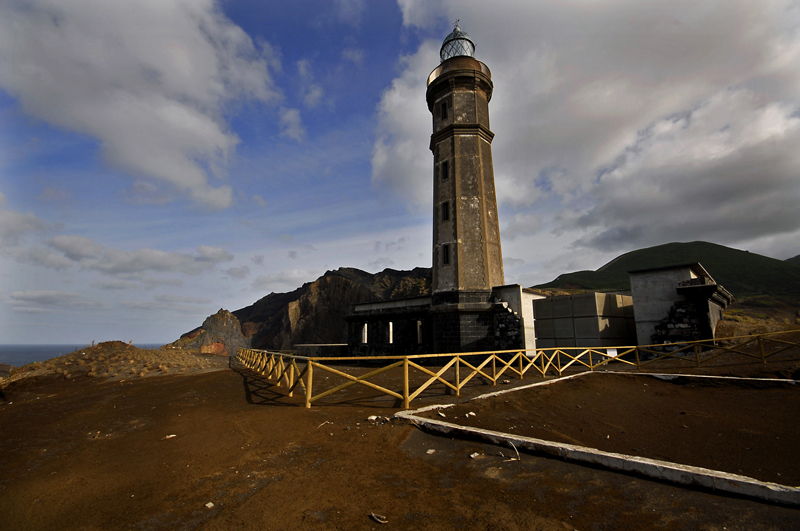 After the 1957/58 volcanic eruption, at the western tip of the island (Capelo village), the area of Faial increased about 2.4 km2. 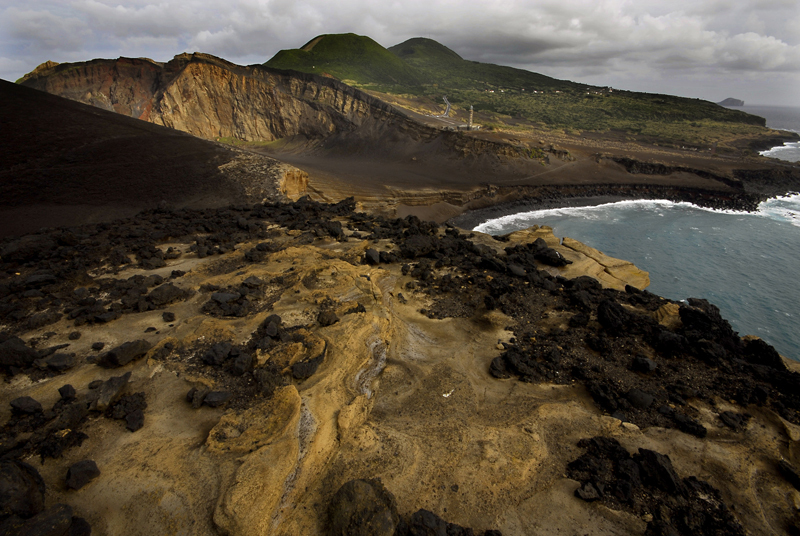 This volcanic cone dominates the island. 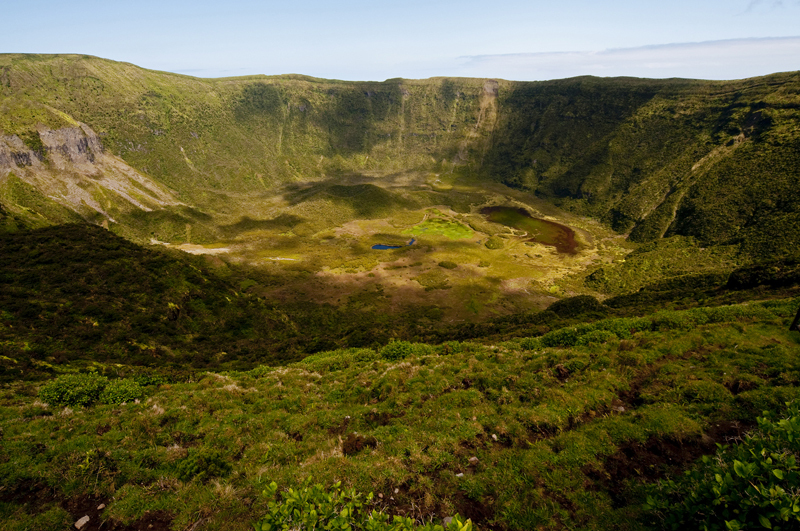 At its summit, the visitor will find an extensive and deep crater, with a diameter of 1.450 m and a depth of 400 m, surrounded by cedars, junipers, beeches, fern and moss, part of which are significant specimens of the primitive vegetation of this Azorean island. 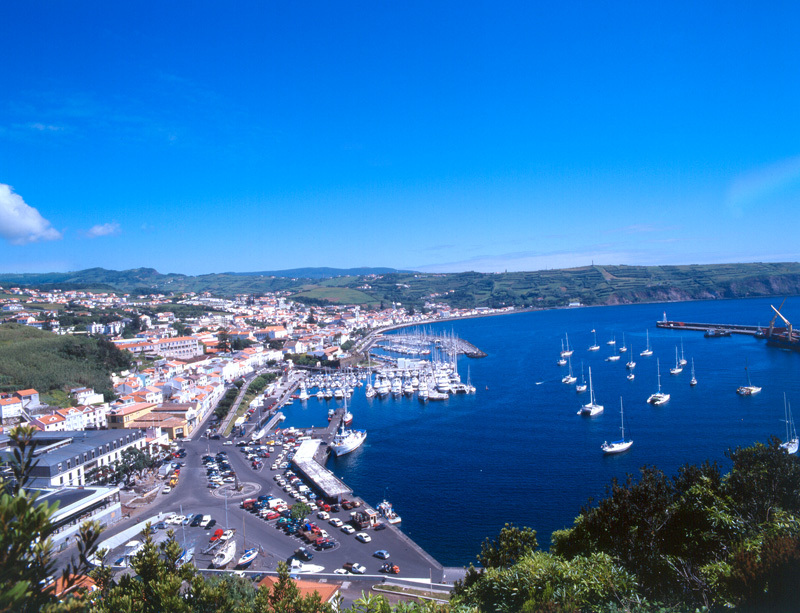 Officially opened on 3 June 1986, this was the first marina ever built in the Azores. 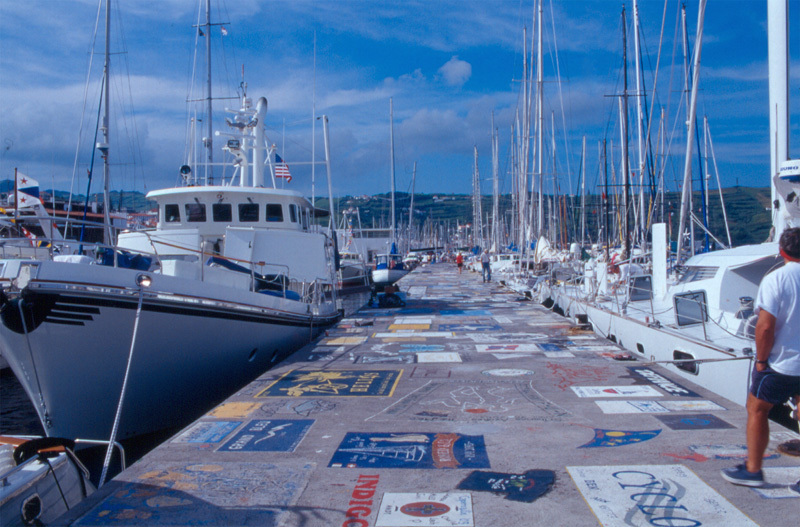 Besides receiving those who cross the Atlantic Ocean by boat, the marina walls are equally known for their various colours, born from the creativity and talent of the sailors that have passed by Horta.